Soft and luxurious faux fur jacket. 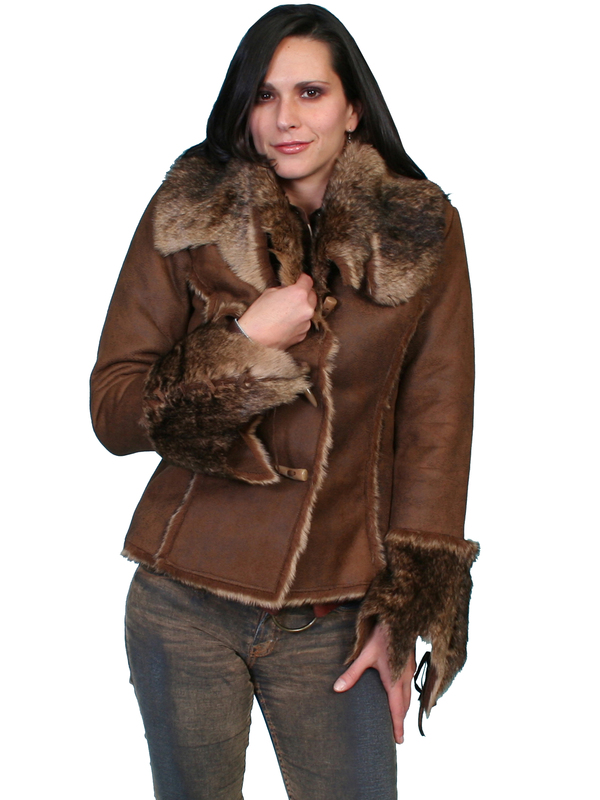 This cozy jacket features a generous oversized faux fur collar and raw edged cuffs with lacing. It has two hidden side entry pockets and three faux bone closures. The faux suede body is 100% polyester and the luxurious faux fur trim and lining are 100% acrylic.